Kant Slip Strips are a great accessory that can be added to any existing hanger. 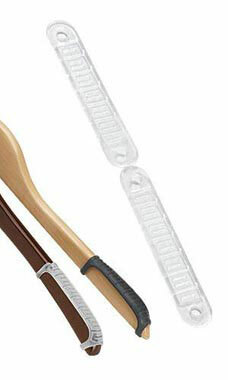 Non-slips are for use with garments that are prone to slippage on a traditional hanger without them. A rubberized strip is applied to each end of the of a dress hanger arm. Non slips are an excellent choice for clothing such as knitwear and lingerie.